UFO SIGHTINGS DAILY: Ancient Tomb Found Near Mars Rover, Oct 2015, Photos, UFO Sighting News. 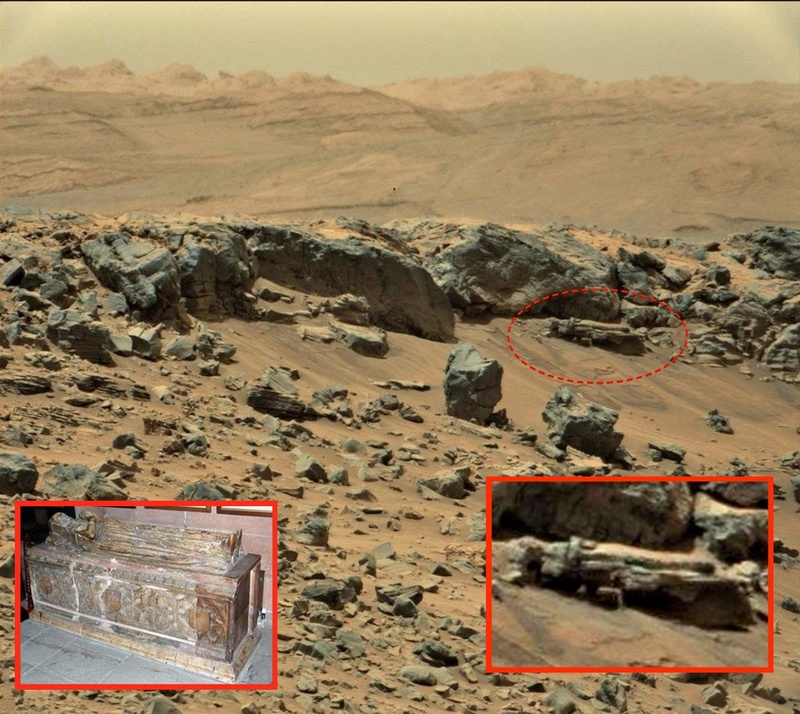 Ancient Tomb Found Near Mars Rover, Oct 2015, Photos, UFO Sighting News. I found an ancient tomb in a Mars photo. 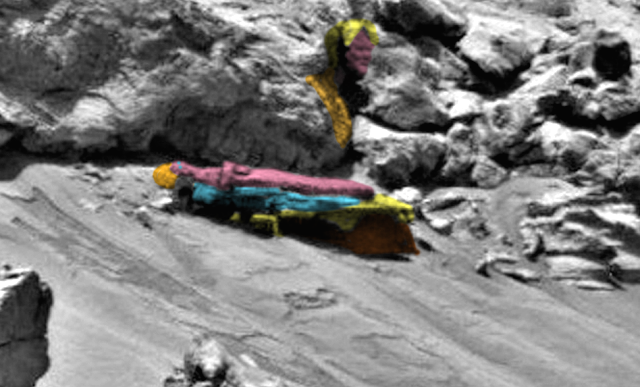 It was in Sol 710. I added color to the photo so you can see what I see. 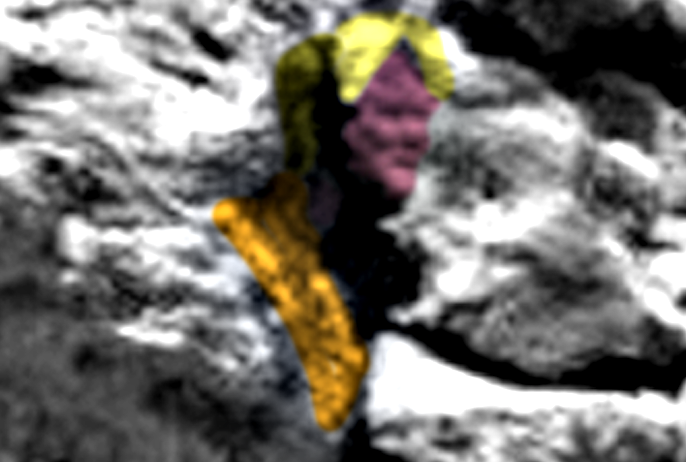 The body of the person is in pink with orange hair. The arms are folded in front of its chest just like many of the tomb figures on Earth. It has a cloak over its shoulders, so I made it blue. The flat part of the tomb box itself I made yellow, which is the cover for the tomb. The box itself is 40% buried below the dirt. 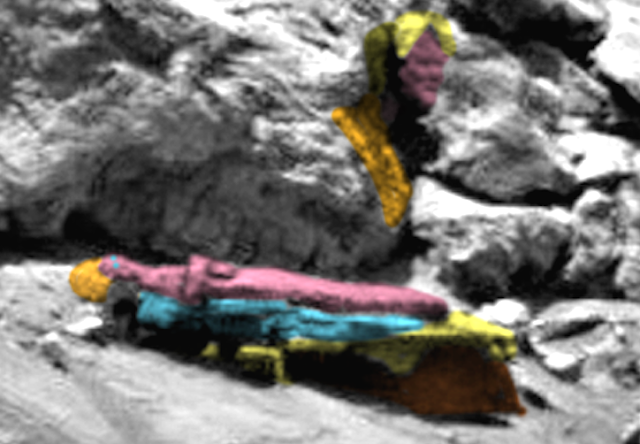 There is also a small face I made pink above the tomb on the hill.